Dylan Lauren, owner of Dylan’s Candy Bar and daughter of fashion designer Ralph Lauren, will be at Mohegan Sun this week to sign her new book. She will sign copies of her book, “Dylan’s Candy Bar: Unwrap Your Sweet Life,” at Mohegan Sun in Casino of the Sky at 6 p.m. on Thursday. According to Random House, the book includes candy craft ideas, recipes, trivia and history, all while giving you the inspiration for living the sweet life every day. 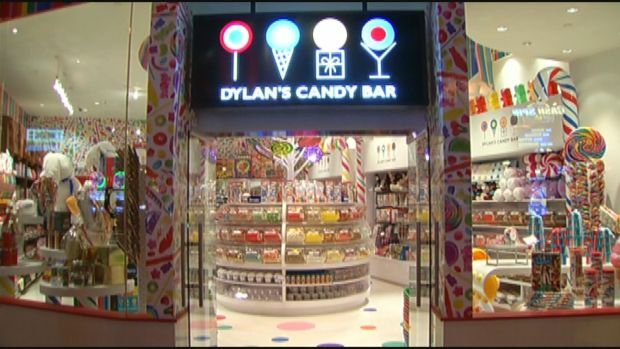 Dylan Lauren opened Dylan's Candy Bar at Mohegan Sun and also has stores in New York City, East Hampton, Houston and Los Angeles and Connecticut. Dylan's Candy Bar has everything from Silly Bananas to 5-pound candy bars. If you have never been, they are like a wonderland for a candy lover.